Eau de Grey Flannel by Geoffrey Beene is a Woody fragrance for men. 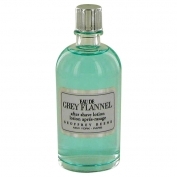 Eau de Grey Flannel was launched in 1997. Top notes are cypress, mandarin orange, star anise, caraway, cedar and lemon; middle notes are eucalyptus, patchouli, lavender and clary sage; base notes are sandalwood, musk and vetiver.